I’ve attended a lecture titled “Liking for Japan(nihon wo tashinamu in Japanese.” New NPO was established this year, and theier purpose is to spread kimono fashion by holding events etc for now. This was the first time lecture of them. Their style seems to be more casual rather than traditional. I could heard really interesting stories about kimono itself of course, and kimono industry, and how they enjoy kimono coordinating etc from some panelists. 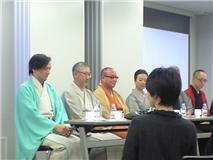 Panellist were all unique people and they have their own styles of kimono fashion. 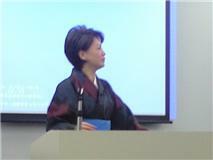 She’s “Kayo Mori” who is a famous total producer of Japenese culture. Her facilitation was great! She has also own her kimono shop, named “Tosanki“. Activities like them are popular in Japan now. More and more people enjoy kimono fashion. Why don’t you have an experience of kimono once?